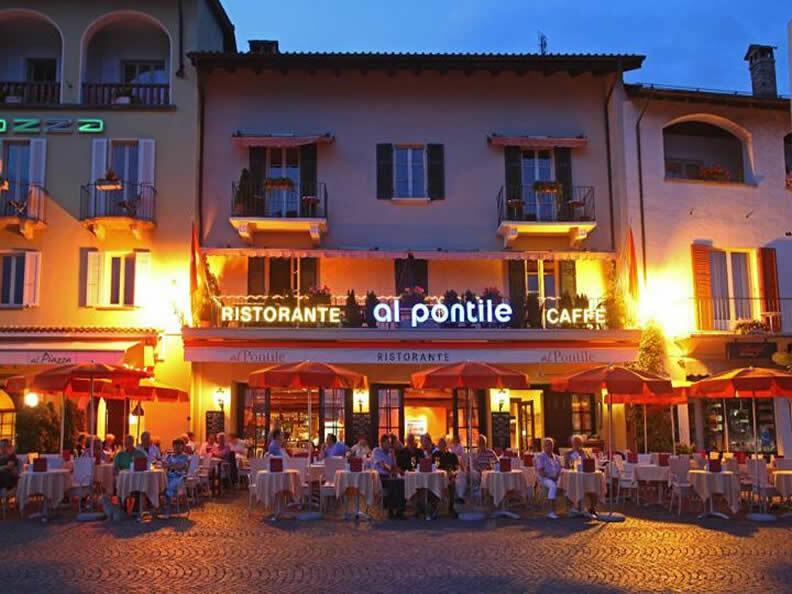 The renowned restaurant with terrace overlooking the lake and the gulf of Ascona. 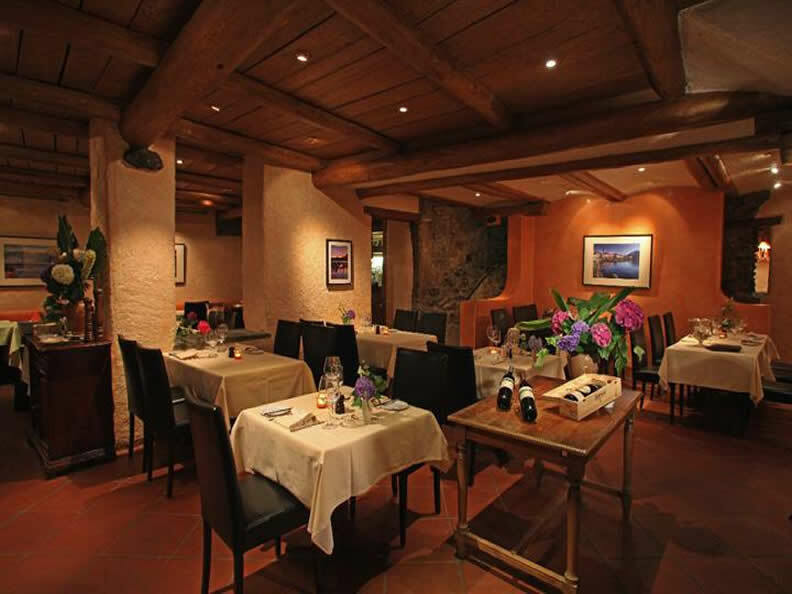 In a rustic and elegant atmosphere the Pontile offer a very personalized service and fine, Mediterranean, regional and seasonal cuisine. Our seasonal specialties include foie gras terrine, Châteaubriand, venison saddle and fresh lake and sea fish. The restaurant with splendid terrace overlooking the waters of Lake Maggiore propose the dish of the day for lunch and a program of themed evenings and gastronomic events prepared by the Chef Kenny Oberholz and accompanied by guests chefs of famous restaurants. If during the day this is the ideal place for a light and tasty lunch or a drink, the evening it turns into a suggestive and romantic restaurant, overlooking the scenic Islands of Brissago. The wine cellar offers an excellent variety of high quality wines and liquors. 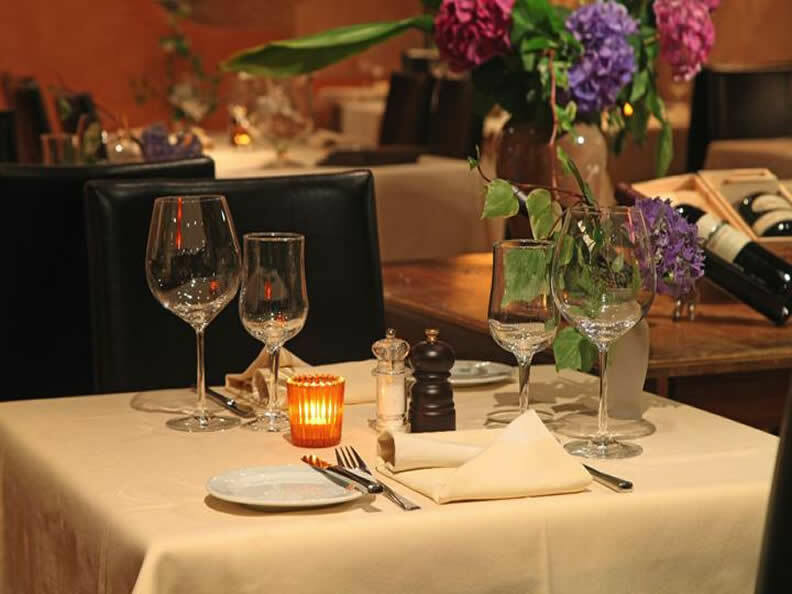 Festive menus for special occasions like Valentine's Day, Mother's Day or Father's Day, National Day, Easter, Christmas and New Year's Eve dinner. Open every day. Booking welcome. Pedestrian area with ample parking nearby.